Today I have 2 early religious Engravings for you. 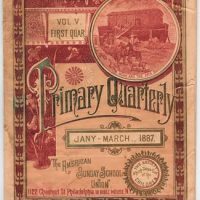 These are from a Circa 1851 Christian book. 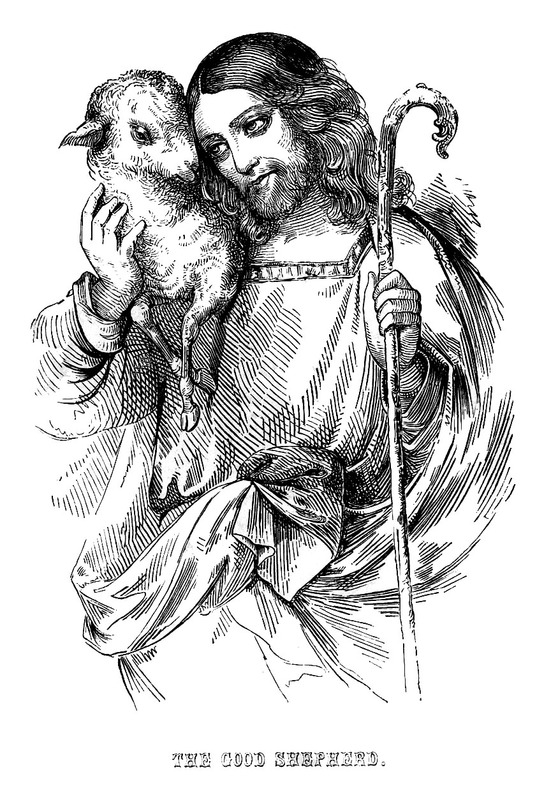 The engraving at the top shows Jesus with a baby Lamb. 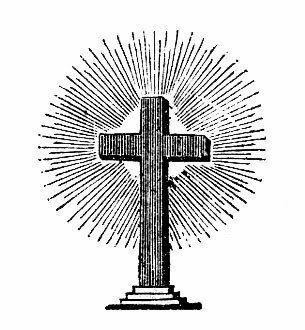 The second graphic is a nice classic looking Cross, surrounded by rays of light. I think these would be great to use on a Church Bulletin! 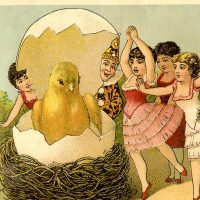 Quirky Vintage Easter Card! 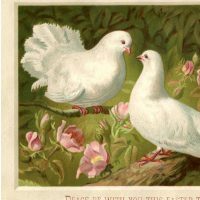 Free Victorian Graphic – Ephemera 1887 Lovely Vintage Easter Doves Picture! Happy Easter, Karen!!!! I hope you have a wonderful day with your family and lots of hippity hoppity fun! Happy and Blessed Easter, Karen, to you and yours! Thanks for bringing everyone all of your beautiful graphics always! Have a wonderful day. querida amiga Felíz Pascua de Resurrección!! Carolina, what a cute bunny rabbit!! Happy Easter, Karen, and thank you for the beautiful Good Shepard…a wonderful gift for Easter Sunday. Would you have anything with the Last Supper on it? Lovely vintage graphics of Jesus with Lamb. Thanks so very much! thank you for all the images you give to all of us…I love Christmas, but EASTER is my FAVORITE holiday of all…the meaning is with me every minute of everyday….thank you, Karen. Thank you for these!! I will be using them on my Easter post on April 1st. I am so glad that you do not water mark them. It helps me find images that look more professional for my poetry blog. thank you Karen!, this is my most favourite site on the entire net! Awesome!